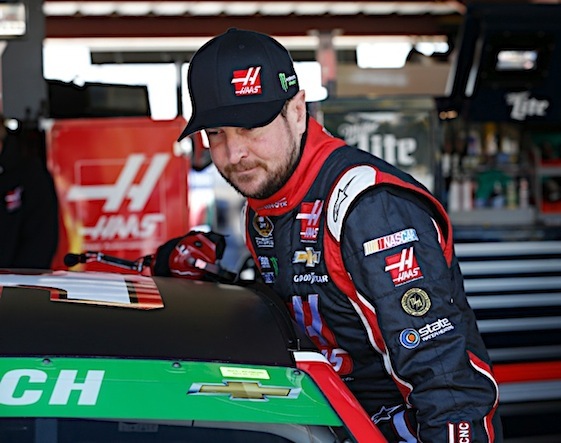 The victory was the first in over a year for Busch and his second since joining Stewart-Haas Racing prior to the 2014 season. The 2004 series champion led a race-best 291 laps at RIR. It was career win No. 26 for Busch, who had to withdraw from the season-opening Daytona 500 and then sit out the next two races after he was accused of domestic abuse. Finishing second was Kevin Harvick, Busch’s SHR teammate. Third was Jimmie Johnson of Hendrick Motorsports. Rounding out the top five were Chip Ganassi Racing’s Jamie McMurray and pole-sitter Joey Logano of Team Penske. Logano led 94 laps but also struggled at times.